Replay Basic Cotton Jersey Girl's T-Shirt In White In Size 8 Years White by Replay at Blood of The Young. MPN: SG7461.051.20994-001. Hurry! Limited time offer. Offer valid only while supplies last. Basic Cotton Jersey girl's short sleeve t-shirt, by Replay in white, with round neckline, all over embroidered design on the front and back stamp. Basic Cotton Jersey girl's short sleeve t-shirt, by Replay in white, with round neckline, all over embroidered design on the front and back stamp. Combine it with denim pants. 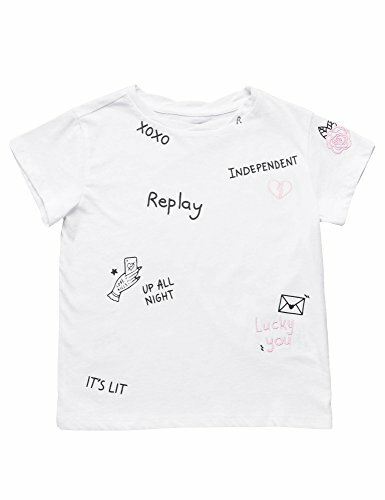 shirt, by Replay in white, with round neckline, all over embroidered design on the front and back stamp. Combine it with denim pants.